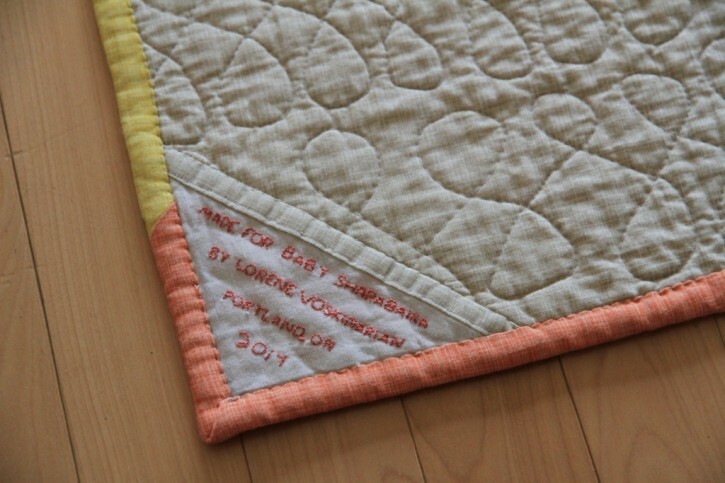 I guess it’s become my thing to make baby quilts when my close friends have their first baby. I mean I’ve done it twice now, so that makes it a thing. Right? I was originally going to make a cut chenille blanket but last minute I changed my mind which left me with not a lot of time to complete it. I asked Natalie for some ideas and she suggested a jelly roll quilt. 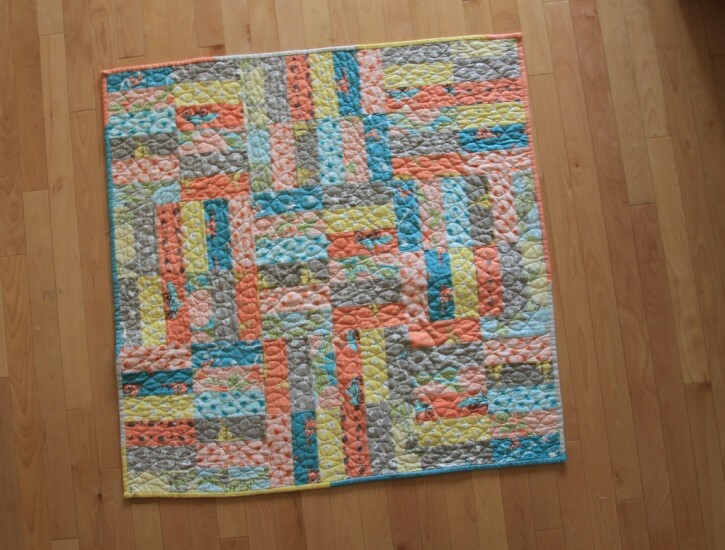 I looked it up and found the perfect pattern from Fat Quarter Shop called the Jelly Roll Jam. I’ve only made one quilt before so I didn’t want to do anything to crazy. 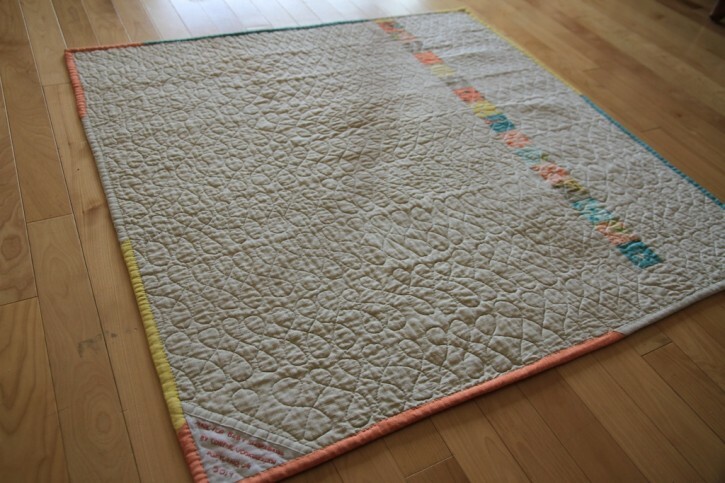 I found watching their Youtube video on making this quilt to be a little more helpful than the written pattern. Now I could focus on finding really awesome fabric. I ended up buying Bluebird Park by Kate & Birdie from Moda Fabrics. What really got me were these adorable hedgehogs. Here is the finished quilt. Basically to make it you assemble 3 sets of 6 strips. Then you cut them up to make 9 different blocks. It’s very straightforward. Since you only use 18 strips that means you have a enough for a scrappy binding and a second quilt! One thing I wish I had done on my first quilt was to make a cooler quilt back. So on this one I saved all my strip scraps and did a stripe down the back. Natalie gave me some great suggestions on how to get it centered. Then of course I had to to make my quilt sandwich and do the quilting. I tried 2 new things on this quilt – spray basting and quilting gloves. The spray basting was awesome, but I’m not sure the gloves made much of a difference. It took me awhile to figure out what quilting design I wanted to use, but in the end I went with the figure 8 loops. I used my chalko pen to draw guide lines so the rows would be relatively even and then I went at it. Not sure what I did differently this time but I didn’t break a single needle! It’s not the greatest quilting in the world but it looks nice enough! Natalie also told I should make a quilt label. 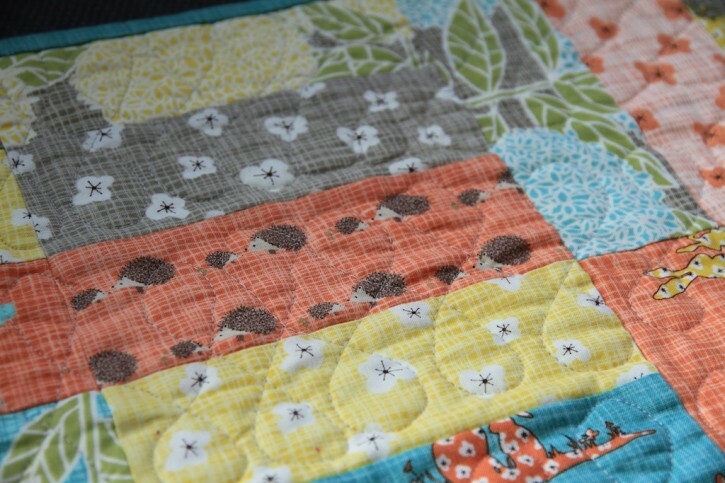 This was totally not on my radar but her reasoning made sense – many quilts become family heirlooms and 20 years from now no one may remember who made it or why they made it.